University of Shanghai for Science and Technology (USST) administers 3 types of international students scholarship offered by the Shanghai Municipal Government in an attempt to encourage excellent international students and scholars to study at USST. 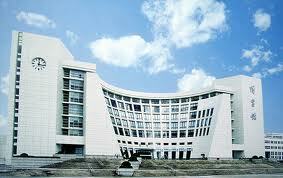 It is granted to outstanding international students who take long term degree program in USST. Students who are granted the type A scholarship will be exempt from application fee, tuition, elementary learning materials expense and lodging expense and will be provided with comprehensive medical insurances for free. The Master’s and Doctoral degree candidates will enjoy monthly living allowance of CNY1,100 RMB and CNY1,400 respectively. Students who are granted the type B scholarship will be exempt from application fee, tuition, elementary learning materials expense. It is established to encourage the currently enrolled excellent international students who are pursuing long-term study at higher educational institutions in Shanghai. The winners will receive a one-off scholarship in an academic year. Applicants pursuing Bachelor’s degree should hold High School degree diploma or the equivalent and should be under the age of 25, and the applicant can only apply for Type B or Type C scholarships. Applicants pursuing Master’s degree should hold Bachelor degree diploma or the equivalent and should not be under the age of 35. Applicants pursuing Doctor’s degree should hold Master degree diploma or the equivalent and should not be under the age of 40. The applicants should have excellent academic records. The applicants should be in default of any other Chinese government scholarship. Application of type A will be processed by the university from Jan 1st to Jun 10th every year. Notarized copies and Chinese or English translations of your highest education certificate, including graduation and degree certificates. Verification letter should be provided if the applicants are students or employed. Official transcripts of study records in Chinese or English. Chinese or English translations of the transcripts should be notarized. Copy of valid passport if available. All materials as mentioned above will not be returned. Application of type B will be processed by the university from Jan 1st to Jun 10th every year. Application of type C will be processed by the university from Mar 1st to Sep 30th every year. All type A, type B and type C scholarships should be applied for each academic year. Qualified applicants can apply consecutively. Final results of the scholarship evaluation process will be publicly notified in each July and November and an official certificate will be issued to each winner. The winners of Scholarship type A and type B who directly come to Shanghai from abroad should apply for the student visa (for students who will study for over 6 months, “X” visa should be applied) to the Chinese embassy or consulate in their country with original and copy of Admission Notice, Visa Application for Study in China (JW202), Foreigner Physical Examination Form, Scholarship Award Notice and valid passport. If any scholarship winner fails to register within the time limit without the permission of the institution, he/she will be regarded as giving up the admission and the scholarship. Students with scholarship should bring along Foreigner Physical Examination Form and go to the Shanghai Entry-exit Inspection and Quarantine Bureau International Travel Health Center for verification. If they do not have health verification from the center, they should take physical examination till they receive a Health Certificate from the said center. Anyone who refuse the physical examination or enter China with certain diseases that will be rejected as regulated by the Chinese laws and regulations will be requested to leave China within limited days and the scholarship will be canceled accordingly. The relevant expense is on the said students. The lodging and living allowance funds from Scholarship A will be stopped from that month. Students with scholarship should apply for the Residence Permit to the Exit-Entry Bureau of Shanghai Police Station within 30 days from the date they enter China. Please submit in time the application materials to International Students Office of USST. Demikianlah informasi mengenai Shanghai Municipal Government Scholarship for International Students, China semoga berguna bagi anda.